At the risk of sounding trite, since seeing As If I'm Not There, the directorial debut of Juanita Wilson, about one young Muslim schoolteacher's struggle to survive when she's captured by the Serbs during the Bosnian war, I haven't been able to stop thinking about it. The siege of Sarajevo and the Yugoslav wars marred the final decade of the 20th century in Europe, but the Western world still carries an ignorance (or perhaps, ambivalence) to the horrors endured by the citizens, which has been described as the greatest genocide since the Holocaust. As If I'm Not There (a Macedonian/Swedish/Irish co-production) is one of the few films that not only documents the horrors endured by citizens enslaved in concentration camps, but more to the point, the female perspective and what women had to do in order to survive, no matter how grotesque or contrary to their nature. Samira (Natasa Petrovic) from Sarajevo is transferred from her position as village schoolteacher to the camps, but her youth and beauty work against her when she's forced into sexual servitude to the Serbian force, along with a harem of other women. "Sexual servitude" is putting it mildly. As the film slowly unfolds with a quiet disposition, we think at first that the horrors of war will be off-screen, as we hear gunshots but see no bodies, and that perhaps the horror might be of not-knowing what's to come. But as the scenes in which Samira is raped, beaten and urinated on lay besiege the audience, the horrors are blatantly in our face, confronting us with the most vile evils of humanity, from which we dare not look away. Samira, with brains as well as enduring beauty, decides she will not allow them to treat her like an animal, and in order to survive, she invokes her feminine ways to cunningly steer her oppressors from abuse and into amorous chains. Based upon the acclaimed novel by Slavenka Drakulic, As If I'm Not There, with all its brutal truths, is a film of emotional awakening that ensnares both the audience's heart and mind. Arresting, philosophically elegant and morally complex, Wilson directs this story with a marvellous straightforwardness and simplicity. 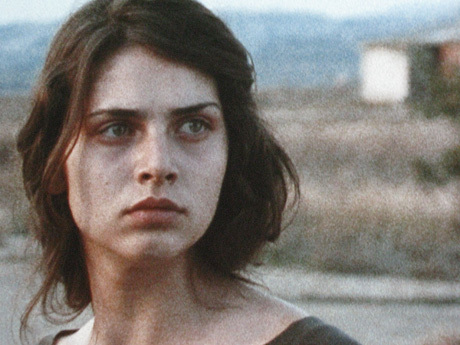 Petrovic as Samira is haunting, with her glassy-eyed precociousness, ethereal beauty and inherent stillness. Keep an eye out for a quick but memorable cameo by Stellan Skarsgård. The script is provocative, vicious and unendingly beautiful. Director Wilson's vision allows human voices heard throughout to sound as eerie as the gunshots that threaten them at every turn. Meaningful, potent images skip about jauntily, offering a glimpse of innocence in a weighty world. And it's a world that grows in intensity with each passing, haunting scene.